“When we began looking at surgical care management, we realized that most surgical care processes start with a fax and a phone call despite large investments in technology,” begins Harold Mondschein the CEO of Medtel. He makes a valid point, as there is a significant lack of automation in the way that hospitals and surgical offices communicate. Medtel identified this gap as a missed opportunity and created a system that would automate the process, thereby seamlessly enhancing the workflow between the surgical offices and the hospital. By virtue of this development, providers have the ability to access, improve, and leverage the data that is received at the earliest possible juncture. Medtel—a cloud-based solution— helps to gather relevant information in a predictable and reliable fashion at the time a patient and surgeon decide to move forward with surgery. The platform connects the entire surgical team so that team members have the necessary information to ensure their patients have the best possible outcomes. By capturing information at the earliest, Medtel links all of the caregivers in the surgical team and helps initiate and sustain compliance to best practices. Medtel successfully helps providers implement best practices to ensure the most favorable outcomes at the lowest costs. The company’s solution can be installed on a computer, tablet, or mobile device in any surgical office, outpatient setting, or institution. These entities can harness the power of technology as a workflow management tool. Using the Medtel platform, hospitals have seen significant reductions in 90- day episodic care costs including substantial implant savings. Some facilities have realized up to $10,000 per patient—per episode—savings in their total joint programs. In fact, Medtel assisted NYU Medical Center’s Langone Orthopaedic Hospital reduce their same day cancellation rates from 10 percent to <1 percent. “They credit us for improving communication between all of the stakeholders that are responsible for ensuring that surgical cases go seamlessly. They additionally acknowledge the assistance we have provided them from a workflow management standpoint as well, and that’s a big difference,” adds Mondschein. By leveraging data within workflows and by connecting the different team members, hospitals have been able to reduce length of stay, readmission rates, as well as optimizing patient discharge dispositions. Medtel continues to look for innovative ways to improve patient care, workflow communication, and to produce significant return on investment. Currently, they are partnering with consulting organizations as well as Group Purchasing Organizations (GPO) to create additional awareness. Medtel functions as a compliance tool for initiating, implementing, and sustaining adherence to the processes that are required to appropriately make a transition to value-based care. “If surgeons, patients, and staff are better and earlier prepared, the opportunity for that patient to get through their episode of care successfully is significantly improved. 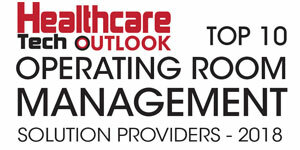 That has a substantial impact in today’s value-based care environment,” concludes Mondschein.